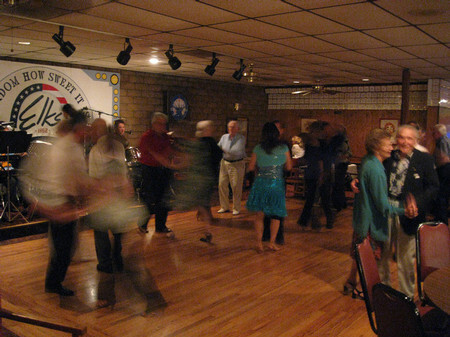 We sent to the Garden Grove Elks for dinner dancing after seeing San Juan Capistrano. We dancced until about 11:00. Join the fun! The blurrrrrr is us dancing to American PAtrol! This entry was posted in Dancing, Food and Wine, Friends and tagged Dancing, Friends. Bookmark the permalink.